Dr. Shotts began practicing in Louisville with Commonwealth Ear, Nose, and Throat in January of 2003 and joined the new Advanced ENT and Allergy in 2010 at the time of the merger. Originally from Cincinnati, Ohio, he began his medical education at Wright State University earning a B.S.E. in biomedical engineering with highest honors while competing in Division I tennis. Upon completion of undergraduate studies, he went on to Vanderbilt University School of Medicine in Nashville, Tennessee, finishing in the top of his class and earning his Doctor of Medicine on full scholarship. He then moved to Lexington, Kentucky where he completed five years of residency training in otolaryngology /head & neck surgery at the University of Kentucky. Being fully trained, he moved to St. Louis to fulfill an active duty commitment to the US Air Force. There, he served as the Chief of the Department of Otolaryngology at Scott Air Force Base, Assistant Professor at Saint Louis University, and director of the ENT clinic at the VA hospital in Marion, IL. While serving in the military, he completed the Air Force Aerospace Medicine course as a distinguished graduate and was additionally certified as a flight surgeon. He honorably separated from the military in the fall of 2002 as a Major with the National Defense Service Medal with bronze cluster. Because of an intense desire to continue developing practical skills, he then spent 4 months living in Spain and Costa Rica attending an intensive Spanish immersion program, and now speaks fluent Spanish. In addition to being board certified in otolaryngology / head & neck surgery, he is a Fellow of the prestigious American College of Surgeons and has successfully passed both the oral and written board examination in facial plastic and reconstructive surgery. He keeps an active role educating University of Louisville medical students, who do elective rotations in the office. He has always maintained a special focus on facial plastic and reconstructive surgery, but never wanted to limit his practice to this entirely. This focus has widened considerably and now his biggest interests are the medical and surgical management of sinus disease, thyroid and parathyroid disease, and head and neck disorders affecting the pediatric population. Keeping with this interest, he pursued additional post-graduate training in allergy diagnosis and management and, after passing the oral and written exam administered by the American Academy of Otolaryngic Allergy, is now a Fellow of the AAOA. 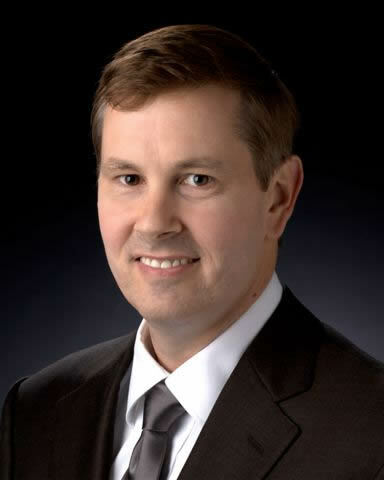 On August, 2010. he was voted one of Louisville’s top surgeons performing sinus surgery by physician peers in a survey conducted by Louisville magazine and prides himself on an extremely high success rate of first and only sinus surgery and revision of surgery performed by other surgeons. So if you are contemplating sinus surgery or have had it and are not improved, he would like the chance to help. In August of 2015, he was also voted a top doctor in the field of otolaryngology by his physician peers in Louisville Magazine. He maintains a constant desire to learn and attends national meetings and education seminars frequently throughout the year to ensure the latest treatments are available to his patients. Having a degree in biomedical engineering is also very handy when critically evaluating new technologies. Athletics and travel have always been a big part of his life. While living in St. Louis, he was very active in triathlons and competed all over the country in half Ironman competitions. He has played USTA tennis for years and is rated a 4.5. He enjoys working out and is a big fan of Tony Horton’s P90X and Shaun T’s Insanity. While living in Costa Rica, he developed a love for surfing and travels frequently to keep up these skills. He enjoys snowboarding, although not so secretly wishes it could be done someplace warm. Although due to residency ties he is a fan of UK basketball, he still is a big supporter of U of L athletics. He loves to read and his favorite books are Atlas Shrugged and The Fountainhead. He is accepting new patients, and has appointments available at the St. Matthews and New Albany offices. Dr. Shotts is committed to improving patient education and has created a professional page on Facebook in order to provide the latest on ear, nose, throat and allergy diagnosis and treatment as it become available. See direct link below. Join Dr. Shotts on Facebook! "My son first saw 'Dr. Steve' in 2010 shortly after his second birthday after a couple bouts with severe ear pain. The office was easily accessible and well organized. We have visited several times to see Dr. Shotts, my son has always been given a hearing test before seeing Dr. Shotts, and often after to follow up on Dr. Shotts evaluations. Dr. Shotts has performed surgery on my son twice, each time we were well informed of how things would go. My son needs a final surgery this fall which despite my eagerness to restore my sons hearing to 100%, Dr. Shotts has had him wait till his Inner ear parts are large and developed enough to heal properly. I highly recommend Dr. Shotts who has been nice, patient, available, and helpful to my son's ear issues. He explains things so that anyone can understand."